Tesla CEO Responds To Model 3 Poll: "We May Need To Increase Production"
"Would you put a $1,000 deposit on a Tesla Model 3?" 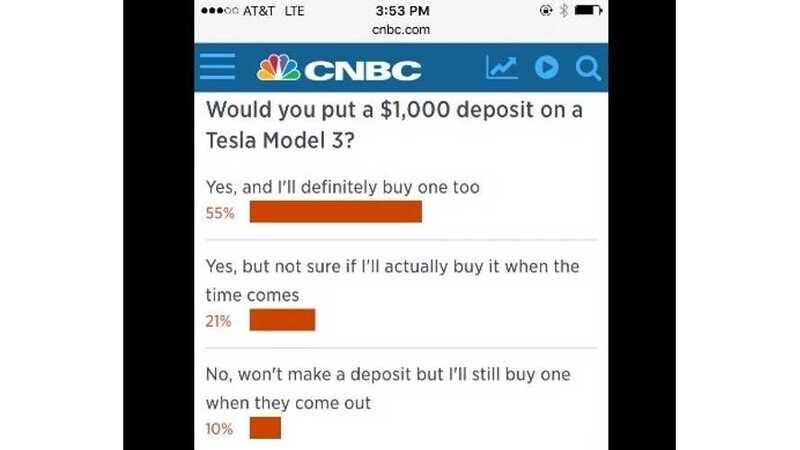 With 55% (of ~15,000 respondents at time of press) saying that not only will they put down a deposit, but they will follow through on the buy, Musk couldn't help but pass along the good news. Hat tip to Josh B!